Modern technology is jumping forward at a pace that most people frankly have trouble keeping up with. Automation, in particular, is one area where technology is increasing in its capacity at a breakneck speed. The capability of machines to take over a huge portion of our daily tasks looms every nearer on the horizon. In truth, though, full automation is a bit off. Scientists are still far from being able to implement automated machines on a consumer scale. In the approach to full automation, however, computers and technology have been automating parts of many tasks, making them easier for the human being who must undertake them. One particular area that you see this a lot is within cars, which makes sense, as self-driving cars are one of the most well-known examples of coming automation. New cars rolling off of the line today, however, come jam-packed with dozens of high-tech features to automate aspects of driving that were entirely manual for decades. As an out-sized portion of small fender benders take place while someone is parking, many of these cars have parking sensors designed to assist them in doing so. Here’s an in-depth look at the parking sensor: what it is, and how it can help you with your parking. The first thing you need to know is that there are actually three entirely separate types of parking sensors. Each of these types of sensors comes with its own specific advantages and disadvantages. It would be best to understand what all three of them are, in case you’re considering installing parking sensors in your car and you’re debating which one you should use. The three types of parking sensors that are available to the modern driver are ultrasonic parking sensors, electromagnetic parking sensors, and (not technically sensors) parking cameras. Let’s take a look at what each of them are, and how they function. Ultrasonic parking sensors work by emitting sounds that are higher pitched than the human ear can detect. Those sound waves bounce off of nearby objects, sending the signal back to the sensor. The sensor is able to create an approximate image of the surrounding area by measuring how long it takes for sound waves to bounce back from each spot in the sensor’s purview. Does this system sound familiar? It’s the same type of technique that mammals like bats and dolphins use to navigate areas where sight would be useless, as well as how nautical vessels are able to map the ocean around them. Bouncing sound waves might sound convoluted, but it is a very effective system, albeit with a few drawbacks. 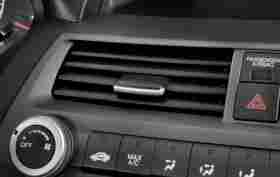 Most such systems will beep an alarm noise if the car strays too close to any of the objects that it observes this way, although more advanced systems will have a display showing the approximate landscape that it senses. An electromagnetic parking sensor works somewhat in the same way as the ultrasonic sensors, although instead of sending out waves, it surrounds the car in an electromagnetic field. Anything that strays inside the electromagnetic field will set off the sensor, alarming the driver of the car to its presence. Basically, it works like any circuit, like a security fence or a light switch. If the circuit is uninterrupted, the sensor is in one state; if the circuit is interrupted, it changes the state of the sensor. Because the electromagnetic spectrum is more sensitive than the sound wave mechanism, these sensors will often sense things that ultrasonic sensors are incapable of. Parking cameras aren’t sensors in the strictest sense of the word. I.e., if something comes to close to the car, there won’t be any alarm that goes off. The cameras account for this, however, by giving the driver more visibility and control over their situation than any other form of parking sensor. They allow the driver to see directly behind them, allowing them to judge the parking situation accurately for themselves, rather than parking blind and waiting for the tell-tale alarm to go off. Because of the cross-utility of both, particularly high-quality systems will sometimes come installed with both a parking camera and one or the other type of sensor, in order to allow both the visibility and the warning. Each of the various types of sensors come with a distinct set of advantages and disadvantages. Here’s an overview of each, to let you know which system is best for you. Out of all of the available choices for sensors of any type, ultrasonic sensors are by far the least expensive. If you are concerned about your safety, but you’re also on a budget, then this might be a good option for you. 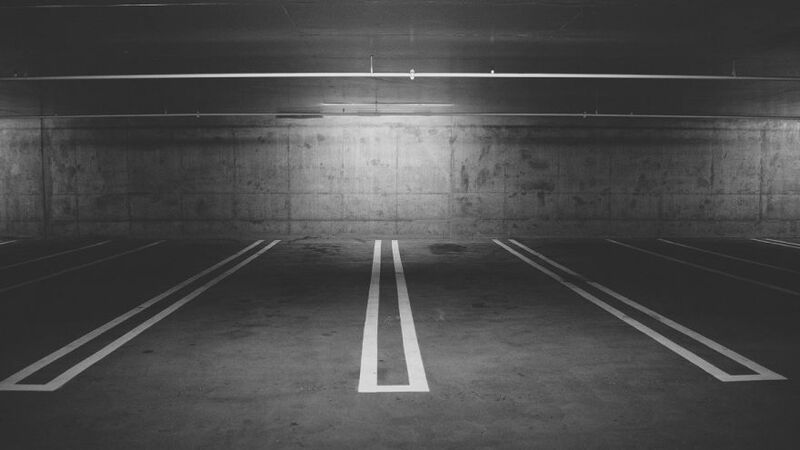 The other major advantage of ultrasonic sensors over any other type of automated parking aid is that ultrasonic sensors work when the car isn’t moving. Neither cameras nor electromagnetic sensors will engage when the car is at a standstill, which can be an issue if you’re pulling out of a very tight spot, when it’s possible that the very first move you make brings you into contact with an obstacle. Ultrasonic sensors, on the other hand, will work as long as the car is on and, usually, not traveling too fast. Unlike the other two options, the very inexpensiveness of ultrasonic sensors means that they are pretty much just slapped on top of your bumper. That means that the whole mechanism is external, sometimes needs to be drilled into the car, and can overall be an eyesore on your car. Generally, though, aesthetics are a small price to pay for safety. Unlike electromagnetic sensors, which create a field entirely around the car, ultrasonic sensors are generally designed only to point forwards of backwards. That means that there will not be any sensors on the sides of your car, making it all to possible to accidentally scrape against something you misjudged your proximity to. Because of the bounce and respond nature of the ultrasonic sensors, they won’t necessarily be perfect at identifying every object that might be around. Small objects, things that are thin, as well as things that are flat, all can be misjudged by an ultrasonic sensor simply because they won’t bounce sound waves back in as significant or obvious a way to the sensor, leading the sensor to miss the fact that they are there. If you have a bike rack or something similar on the back of your car, its possible that the proximity to your sensor will render it useless, because it bounces too many of the waves being sent out and throws off the sensor’s ability to create an accurate model of the surrounding area. In most senses, an electromagnetic sensor is relatively superior to the ultrasonic alternative. Because it works internally and creates a field, rather than being focused on one particular spot, electromagnetic can be used with any sort of racks or towbars or anything that might be on the outside of the car. The biggest advantage that electromagnetic sensors have are just that they are better. Sound waves aren’t perfect at registering surrounding objects, but electromagnetic sensors won’t fail. Anything that strays into the “force field” around your car will be identified as a potential obstacle, making it much less likely for you to hit something accidentally. As with all projects involving your property, whether that be your home or your car, the cost is a very relevant factor. Compared with ultrasonic sensors, electromagnetic sensors might be too expensive. They are the clear superior choice, but when making a budget for a project, cost can be a more important factor than quality. There is one primary advantage and one primary disadvantage to using cameras instead of sensors. Essentially, they are flip sides of the same coin. The advantage is that the camera delivers more information to the driver, allowing them to make predictive moves, and not just react upon finding out something has entered into the car’s proximity. The disadvantage is basically the same; there may be more of an ability for the driver to view the situation, but there will be no warning in case the driver doesn’t see something. Because of this, cameras are considered to complement sensor systems well, and are often installed at the same time. Using a parking sensor in your car could be a great decision. Not only will it make you better at parking and less likely to get into an accident, there are actually some other serious advantages that you might not have considered. For one, insurance will often lower a person’s insurance premium if they install such a device. And forget the safety aspect; having a sensor will just make parking easier. Instead of stressing out and trying to guess whether you are close enough, you can reliably trust your system to let you know for you. Parking sensors are overall a fantastic decision for a responsible driver.